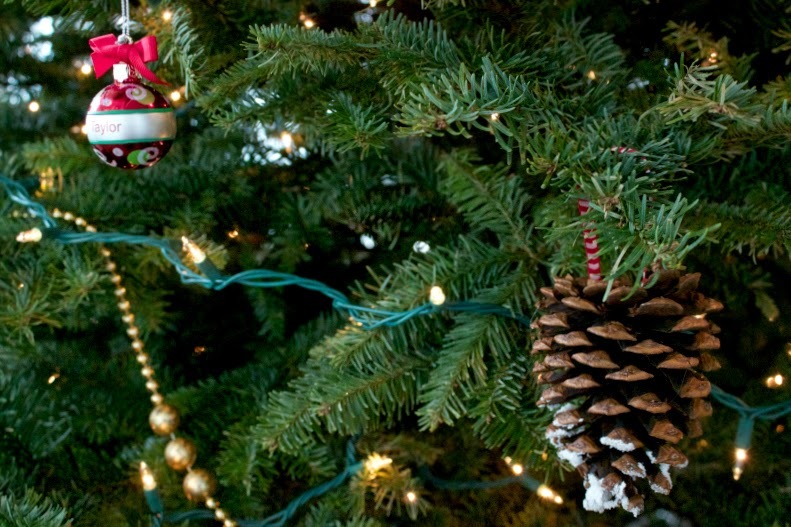 Since our tree is so big we need a few lot more ornaments! I love making my own ornaments, they just seem a little more special. So when I found a bag of pinecones in our stock of christmas decorations I decided to add a little snowy charm to our tree. 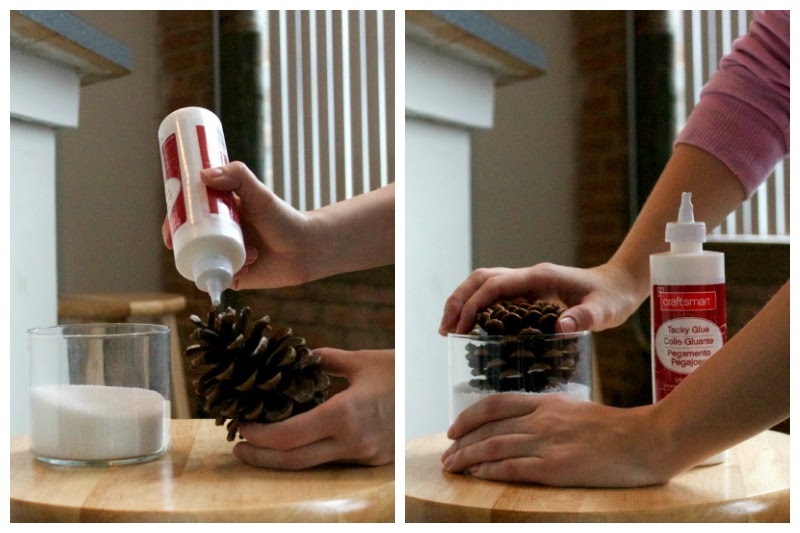 Dab some glue onto the outer edges of your pinecone. 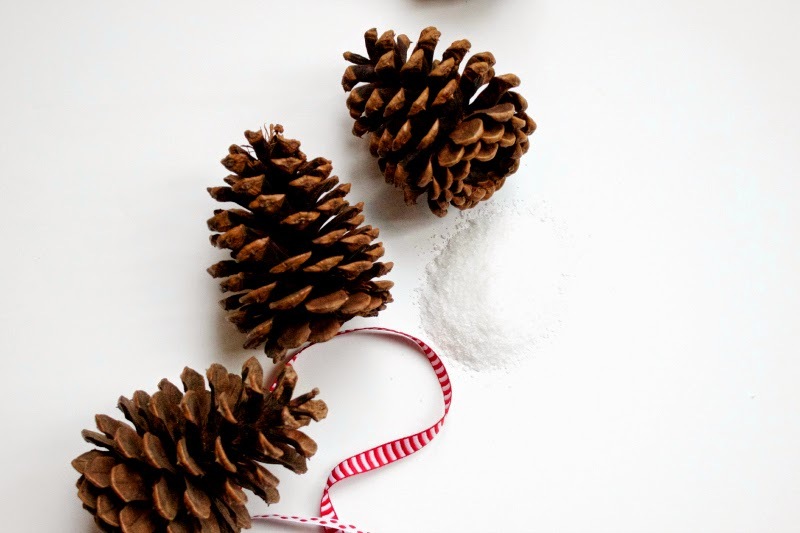 Dip the pinecone into a nice big bowl of epson salt. 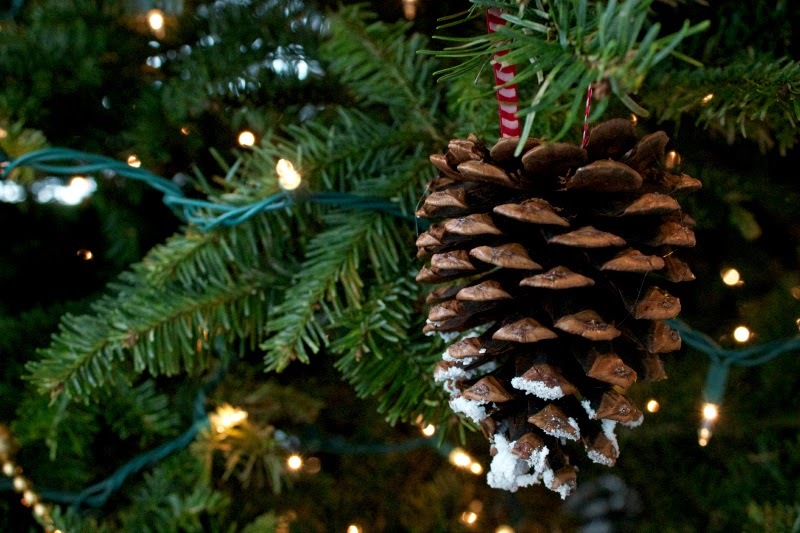 Once the glue has dried add a ribbon to the top of your pinecone so you can hang these beauties on your Christmas Tree!